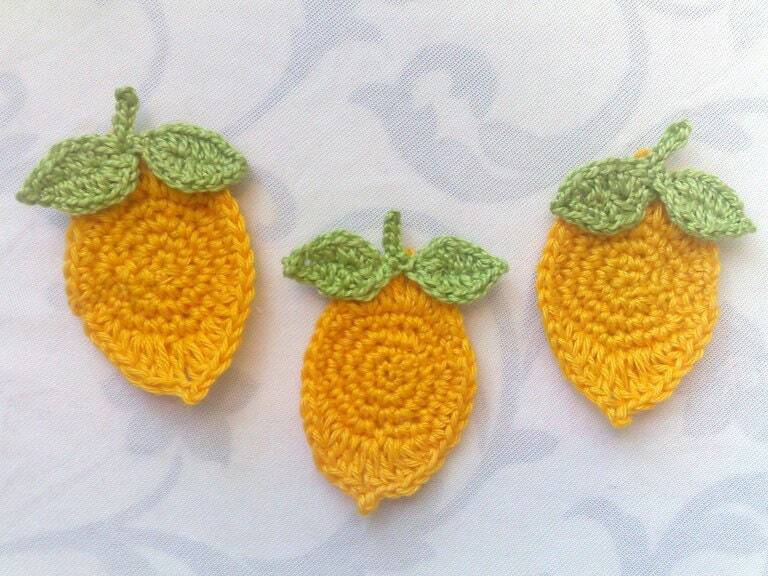 These lemon yellow Lemons Patches are perfect for Decorating Skirts, Blouses, Sweaters, Caps, scarves, Bags, gloves, baby clothes, children's Clothes, accessories, pillows, home Décor, Pillowcases, Blankets, bags, children's rooms, Baby clothes, cards Or Hair clips. 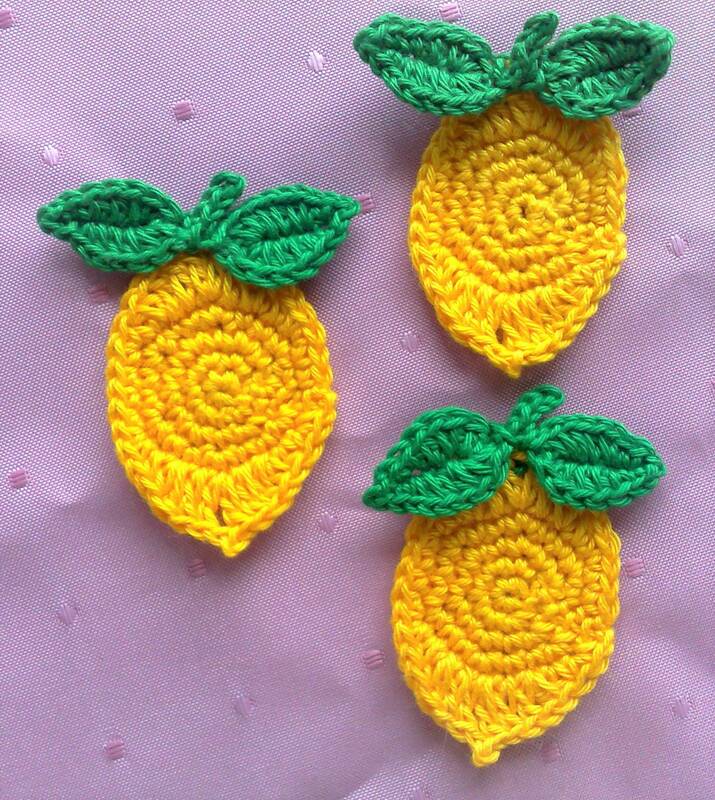 The crocheted Lemons. There are endless Ways to Use it. 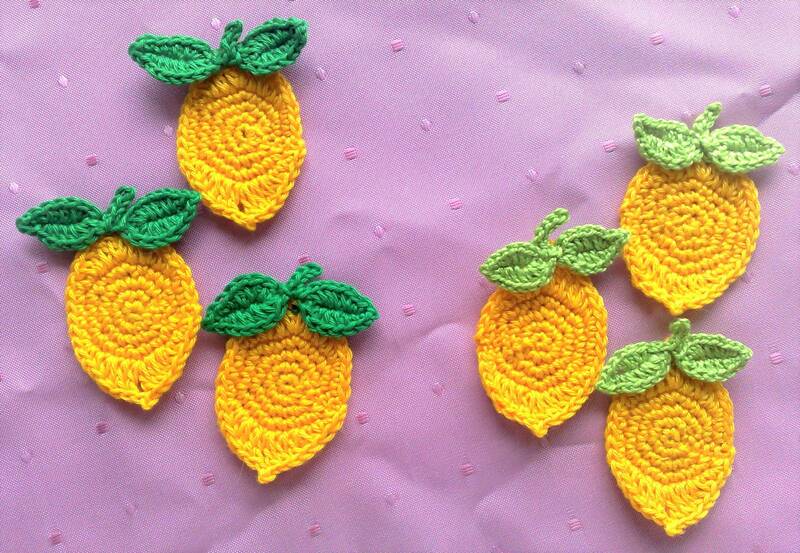 The Lemons patch Were made in a smoke-free and animal-free Environment.